Fresh back from New York, curator Antonia Marsh is marking her return to London with an ambitious new show, which opens at Camden's Cob Gallery tomorrow. The Belly and the Members, as its title suggests, asks if the human body is more than a sum of it's parts, and looks at the artist's need to dissect the body. 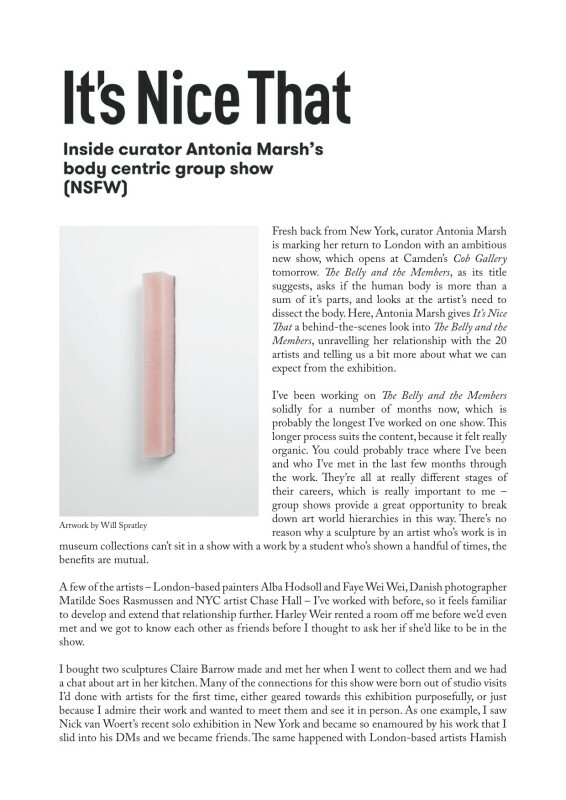 Here, Antonia Marsh gives It's Nice That a behind-the-scenes look into The Belly and the Members, unravelling her relationship with the 20 artists and telling us a bit more about what we can expect from the exhibition.